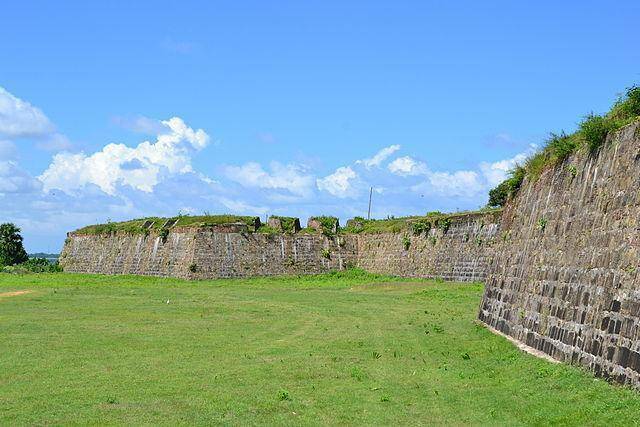 Fort Frederick has been an important defensive site for centuries in Sri Lanka. The Bristish took over the fort in the year 1782. It was built by the Portugese in 1623 and then was rebuilt by the Dutch. Today, the fort is occupied by the Sri Lankan military. There is also a big statue of Gautama Buddha at the Goakana temple from where you can get some splendid views of Trinco and the coastline. There is a beautiful mansion built in accordance with Georgian style since 1700s and is named as Wellesley House which is named after a Duke of Wellington. Unfortunately, visitors are not allocated to go inside the mansion. Assorted cannons and artillery are placed surrounding the enclave of the fort and also contains some number of spotted deer.